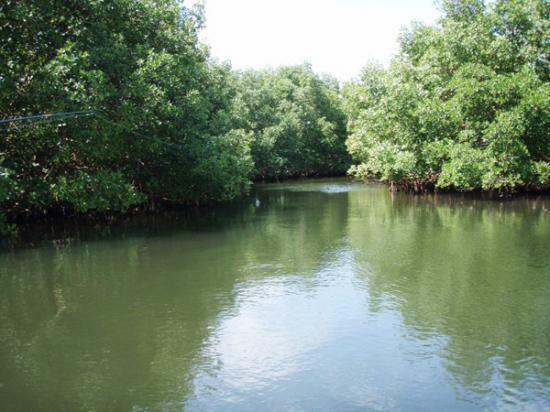 The mangrove is a mangrove forest (90% of red mangrove), which extends on the mudflats of the coastal strip. Guadeloupe in the mangrove covers about 8000 hectares, located 80% of them around the Grand Cul-de-sac Marin and each side of the Salt River. Real ecological corridor is an ecosystem in close relationship with the lagoon, but also the coral reef. 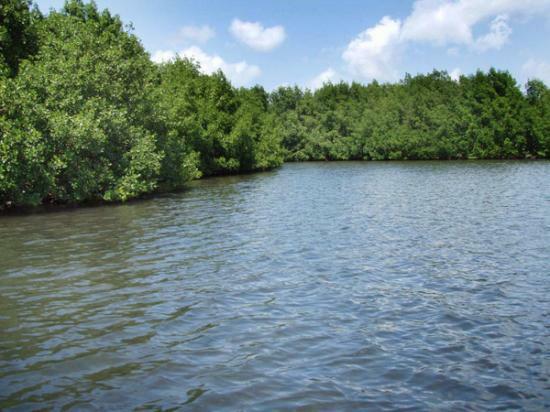 It filters water through numerous mangrove roots and thus promotes photosynthesis. Its calm waters promote decomposition and deposition of organic matter. Many migratory birds are sedentary or domicile. Shellfish, molluscs and fish live in this rich before crossing the lagoon and out to sea to adulthood.